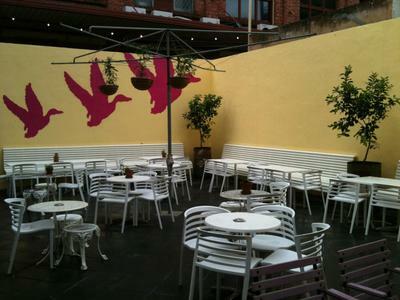 Adelaide has been crying out for the likes of this recently refurbished city haunt. The Franklin is an absolute pleasure to dine in, drink in, party in or simply just enjoy a glass of red by the fire. I was fortunate enough to attend the VIP launch of this Pub, situated at 92 Franklin St in the city – as its name might suggest. Unsure as to whether it might be another overdone, sterile Adelaide pub with about as much atmosphere as the lobby of an insolvency accountant's office, I was pleasantly surprised to see it was rustic, warm and full of character – done in a similar style to it's cider-loving, sister pub – The Wright St Hotel. Enter the warm hotel, and be greeted by the ever-friendly staff, who are either chatting like old friends to the local bar flies, or whipping up a G&T and bowl of pistachios for soon to be regulars like my friends and I. If you've been in more than once, its likely most of the staff remember your name, or at least your poison of choice – Gin & Tonic with lots of lemon, in my case. The Hotel's interior is unique and industrial. The enormous coca cola crate light, the beer garden with a hills hoist as its centrepiece and the neon wiring contrasted with black walls give the Hotel a modern, artistic DIY feel. The menu was made up of delicious, simple yet interesting and refreshingly inexpensive items. Old favourites like the chicken parmy and hot chips are there, though with a twist. Hot chips will only set you back $4 and come in the old school tuckshop buckets, and the chicken parmy, at $14 is served with melted jarlsberg and chips– dare I say, bargain! Beef Brisket, Meatballs and Market Fish – yes, they've been done before, but not for small change. The Hotel has a number of good Gluten Free options, my Coeliac companion was really pleased with the selection on offer – in particular the Aged Chargrilled Beef. Drinks are my favourite raving point. Not a huge fan of cocktails, I simply had to try the mysterious concoction being served up in old jam jars, if only for the novelty of drinking out of a jar – yes I am aware it could have been done at home. 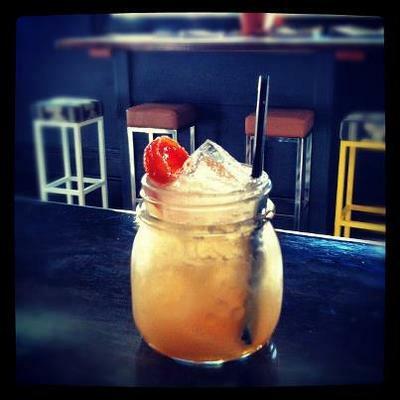 Honestly though, this Apple Pie flavoured jam jar cocktail was heaven, and literally tasted just like Apple Pie. Made up of gin, cloudy apple juice and cinnamon, this delightful first jar was not my last, and no doubt contributed to the splitting headache I had the next day! My boyfriend, usually a Corona man, was quite taken by the 'beer in bag' and definitely consumed his fair share. All in all, 10/10. 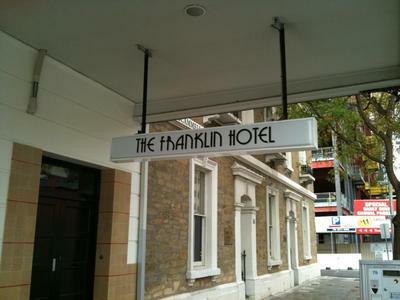 The Franklin Hotel is all it aims to be. See for yourself. Why? The Franklin is an absolute pleasure to dine in, drink in, party in or simply just enjoy a glass of red by the fire.